So the three I have for you are super neutral and good and light for the summer. As much as I love brights in the summer, sometimes I need a break. These are the perfect palate cleansers. So the first color is called Happy Hour. This is an orange creamsicle meets peach sherbert sorta color. It's smooth, creamy, and opaque in 2 coats. 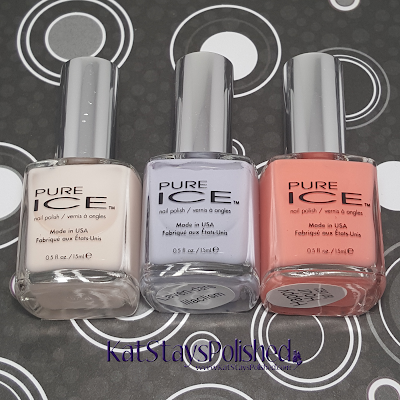 I love this shade and I have a few good outfits to match! If you're going for the more delicate look, try on Laven-dare! It's a sweet and soft lavender shade that's opaque in 2 coats. Again, very creamy and smooth to apply. I highly recommend this shade. Lastly we have Oui Oui...or what I think to be Oui Oui. To be honest, the label fell off and I'm making my best guess. I applied 3 coats of this to make it pretty opaque. 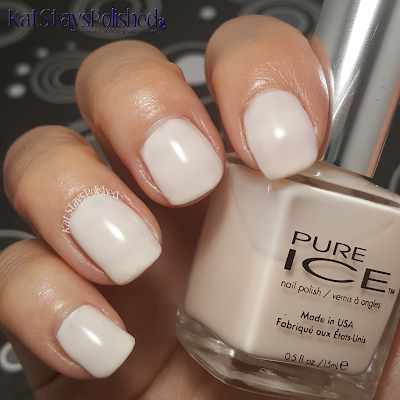 This is a very soft, neutral color to really give your nails a break from color. It has a very slight hint of pink that comes off in person but on camera, it doesn't show the slightest hint. Overall, I love this shade too! What do you use for your nail palate cleansers? Would you consider these shades for just $2 a pop at Walmart? Tell me if you've already got these shades and if you love them! I like Laven-dare! I would buy that in a heartbeat if I saw it in the store! I like the hand pose, btw! I wish Walmart was located a little closer to me and not on such a congested road because I seldom go there. That said, when I do, I always check out Pure Ice. I love their polishes. This is a pretty set. The pastel orange and lavender-gray are my faves. These are such pretty shades of polish. 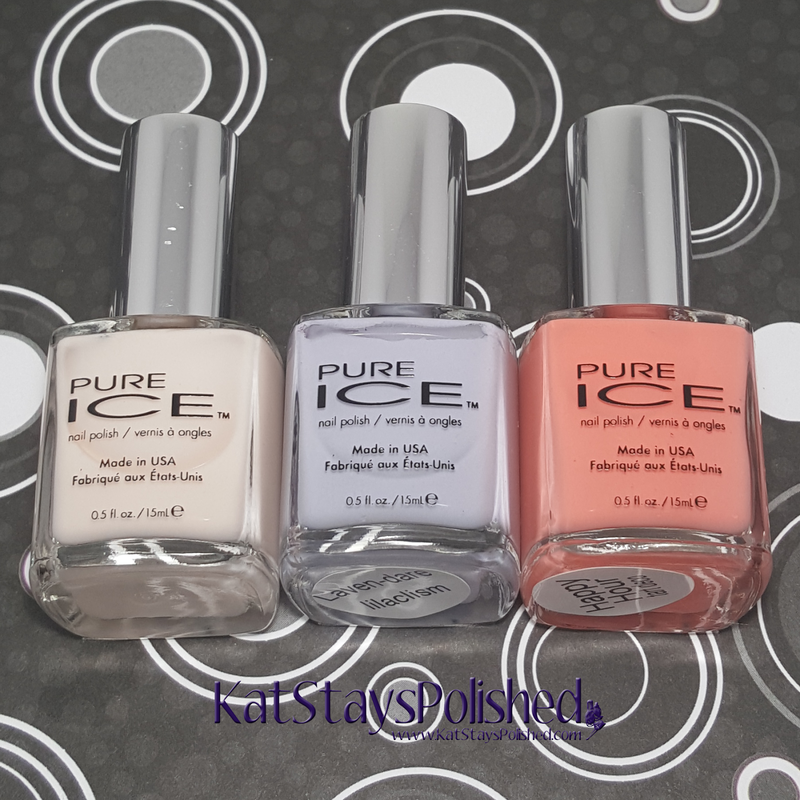 I haven't picked up any from Pure Ice in awhile but I am digging these! I need Happy Hour! The shade is gorgeous! 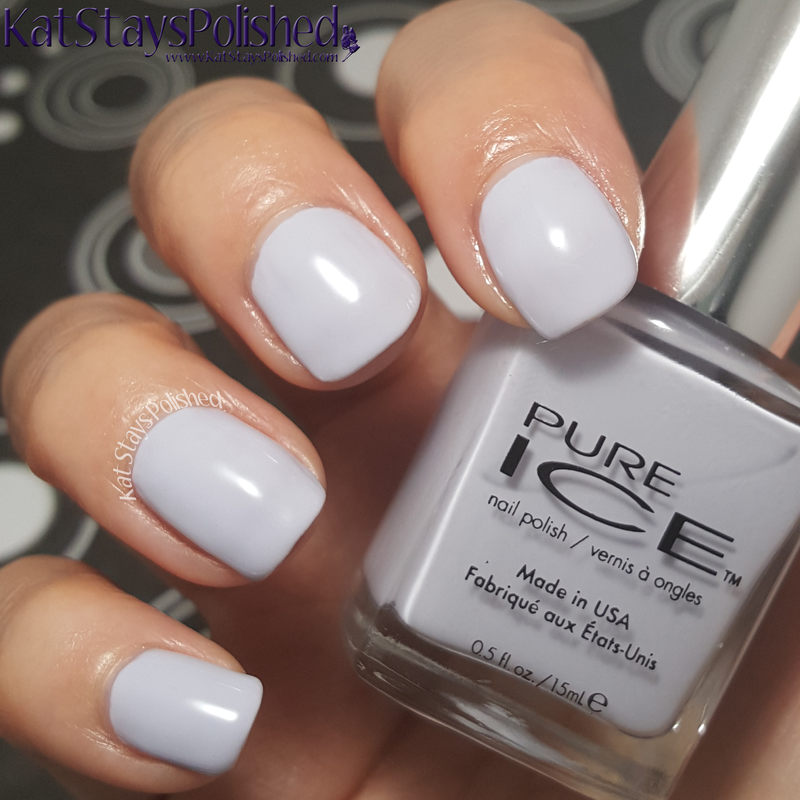 I adore Pure Ice polishes. These here are no exception. I love that you call them nail palette cleansers. I wear a polish for a week and every once in a while need to go to a calm color from some of my brights. Aren't those pretty! So ladylike and sweet. You can't beat the price, these are pretty colors. I loooove the opaque, creamy consistency! I am a sucker for shades like Happy Hour. Laven-dare is so pretty, too! Laven-Dare is such a "me" color! I'm gonna be on the hunt for these, especially Oui Oui because it's something I know I would use daily. Oui oui is discontinued now selling on Amazon for almost 10$ crazy ha !